MEED gives us the top 100 Middle Eastern companies in 2012, as Egypt generates 5% of the primary Middle Eastern market. Like every year, MEED, the popular Middle East Business Intelligence magazine, brings the world the top 100 Middle Eastern companies of the year. Largely dominated by Saudi Arabian organizations, the list contains companies from all sectors, ranking them according to their market capitalization, share price, forward price / earnings ratio in 12 months, net income, and a 10-day-average daily volume (as in the number of shares traded per day). The top company is Saudi Basic Industries, which has been defending its title for three years in a row now. It is followed by AlRajha Bank and Investment Company (Saudi Arabia) and Qatar National Bank (Qatar). Egypt is represented by five companies on places 21, 49, 61, 75, and 54, which means that it occupies five percent of the list, and thus, generates 5% of the primary Middle Eastern market. In comparison, Saudi Arabia is in the game with 33%. Being a tycoon in the construction field and owned by the Sawiris family, Orascom Construction Industries (OCI) has a market capitalization of $8,964 million and a share price of $42.9. The forward price is at 15.95 and its net income adds up to $554 million. The calculated average daily trade volume is 0.12 million. Compared to last two years, OCI has dropped two places. Owned 100% by the Egyptian government, the communication solution provider Telecom Egypt has a market capitalization of $4,239 million and a share price of $2.5. The forward price is at 8.73 and its net income adds up to $486 million. The calculated average daily trade volume is 0.64 million. 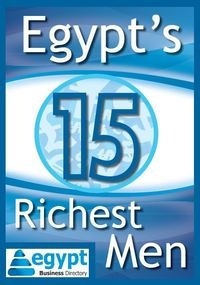 In 2011, Telecom Egypt was ranked #40, which is nine places lower than in 2010. As part of the Orascom group of companies, Orascom Telecom Holdings has a market capitalization of $3,505 million and a share price of $0.7. The forward price was not available and its net income adds up to $146 million. The calculated average daily trade volume is 12.24 million. After dropping from place 32 to 63 from 2010 till 2011, the company ascended two places in 2012. After being partly purchased by France Telecom, Mobinil has a market capitalization of $2,974 million and a share price of $29.7. The forward price was not available and its net income adds up to -$42 million. The calculated average daily trade volume is 0.12 million. In 2010, the company ranked #47 and dropped to #94 in 2011. The Commercial International Bank, mainly known as CIB, has a market capitalization of $2,448 million and a share price of $4.1. The forward price is at 9.34 and its net income adds up to $268 million. The calculated average daily trade volume is 1.63 million. CIB went through a major drop compared to the past two years: Rank 54 in 2011 and rank 59 in 2010. It is noteworthy that the Orascom organization owns or at least has shares in more than half of these Egyptian companies. Note: Market Capitalization, share prices and 10-day average trade size were calculated on 18 march 2012, 16 March 2012, and 21 March 2012.